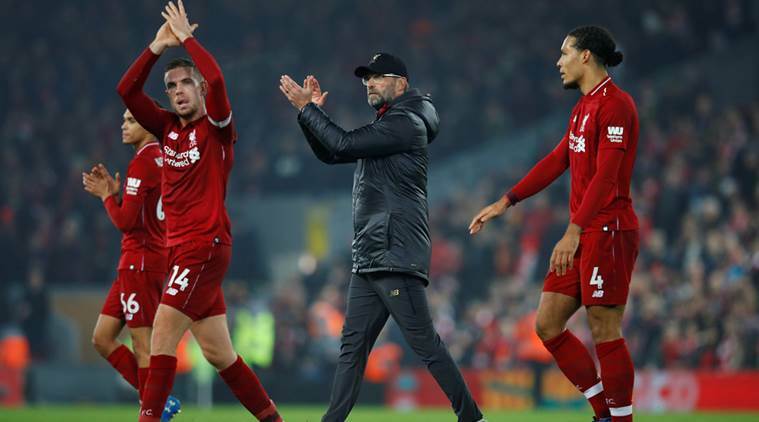 Liverpool manager Juergen Klopp has urged his players to give “every fibre of their bodies” in the battle for the Premier League title. Manchester City moved to the top of the league on Wednesday for the first time since December after Klopp’s side limped to back-to-back draws against Leicester City and West Ham United. However, Klopp has dismissed the notion that Liverpool are wilting under the pressure of bidding for their first top division title in 29 years. “I got a message this week, another sign that people think I need help – I don’t need help, I’m fine – but it said in the last 10 games City dropped 12 points and we dropped seven,” Klopp told reporters ahead of Saturday’s game against Bournemouth. Klopp confirmed centre-back Joe Gomez will be out for up to six weeks as he continues to recover from leg surgery, but Trent Alexander-Arnold, Jordan Henderson and Georginio Wijnaldum took part in first-team training this week. Alex Oxlade-Chamberlain, who is recovering from a long-term knee injury, was added to the Champions League squad but Klopp played down expectations regarding the return of the England midfielder. “If we go to the semi-final I think he is available,” Klopp added.